Khumalo has served as co-director of Sonke from 2006-2010 and as manager of Sonke’s International Programmes Unit and the Policy, Advocacy and Research Unit from 2010-2011. He has a long and accomplished track record in the NGO sector. He was Senior Gender Technical Advisor for EngenderHealth South Africa. In that capacity, he worked with the South African National AIDS Council (SANAC), the National Department of Health, provincial and district AIDS Councils, and the Department of Basic Education to integrate gender into all HIV-related public health strategies and activities, incorporate comprehensive HIV prevention strategies and information into all education-related policies and programmes for schools and communities, and support the South African government and community organisations in quality assessment and improvement of HIV prevention services. From 2000-2008 Khumalo served as a Commissioner at the National Commission for Gender Equality (CGE) from 2000-2006 and 2007-2011. At the CGE he was instrumental in assisting national and provincial departments of government to plan and coordinate many activities related to men, gender and HIV/AIDS. These included carrying out a series of national dialogues with men on gender equality and gender-based violence, working closely with traditional and religious leaders in each of the country’s provinces, as well as working with civil society partners to develop the National Gender Machinery Working Group on Men and Gender Equality. Currently, he chairs the SANAC National Men’s sector, which is one of the components of the South African National AIDS Council responsible to provide oversight on the implementation of the National Strategic Plan on HIV, STIs and TB. Active in the anti-apartheid struggle, Khumalo worked with the Soweto Civic Association and subsequently participated in the peace accords. 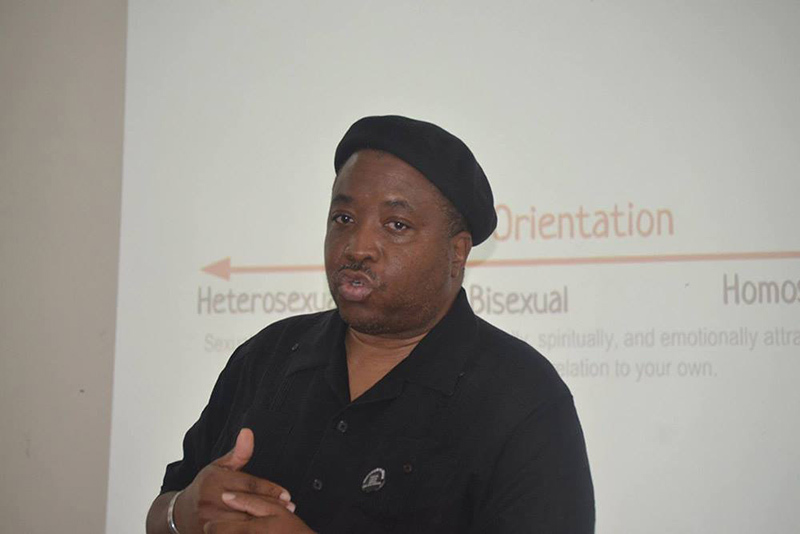 He has spoken at many national and international conferences on men, gender and HIV/AIDS, including the UN Commission on the Status of Women, the International AIDS Conference and many others. He has been published widely in professional journals and appears frequently on radio and television in South Africa. He has both a bachelors and masters degree in Theology from the University of Natal. In 2007 Bafana was awarded the 2007 Men’s Health Magazine’s Best Man of the Year Award for commitment to public service. In 2014, along with US Vice President Joe Biden, actor Patrick Stewart and NFL Quarterback Don McPherson, he was awarded the Vital Voices Solidarity Award. Khumalo is an ordained pastor in the Evangelical Lutheran Church in Southern Africa and volunteers his service to the Tembisa East Parish in Gauteng.